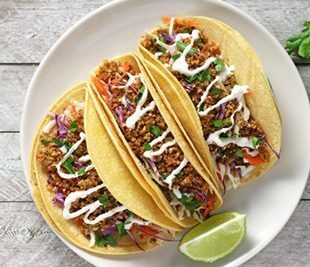 These Vegan Taco Wraps have all the tastiness of tacos in a convenient wrap form. 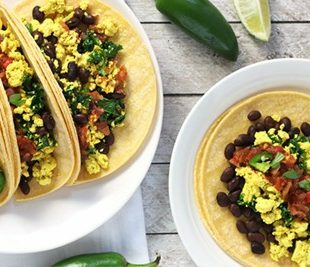 They’re perfect to take for lunch when you’re craving a taco but want it in something other than a taco shell. Tacos have been a staple in our house since I started eating them last year. Yes, I know it’s unbelievable that I only started eating tacos a year ago. But now that I am a taco convert, I love making all different kinds of tacos. One of the most popular recipes on my blog is my Walnut Meat Tacos. I can see why – they’re so easy to make plus they’re delicious. Because I love the walnut meat so much I wanted to create another easy recipe that you could throw together for a quick meal. I’m always looking for new lunch ideas to take with me to work. And while I love me some tacos, they’re not the best option for lunch. Tacos just don’t hold up as well as I’d like in a lunchbox. The stuffing falls out and it makes a big old mess (I’m messy enough when I eat, I don’t need help in that department). Wraps, on the other hand, are nice and neat if folded correctly so I figured, why not make my beloved tacos in wrap form? Oh yes, sometimes I even impress myself! 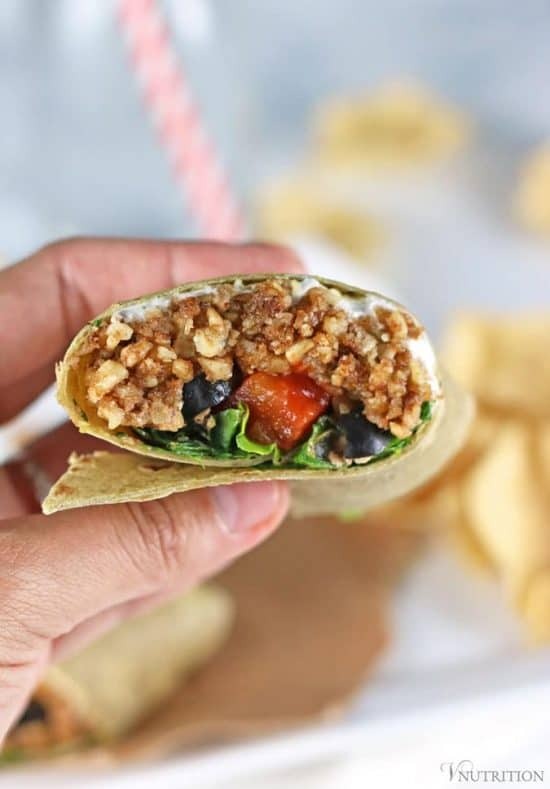 My Vegan Taco Wraps have all the tastiness of my walnut meat tacos in a convenient wrap form. I like a nice creamy or saucy addition to my wraps so I started out with some vegan cream cheese and salsa as a base. Then I added my walnut meat, black olives, and romaine lettuce. If you make this Vegan Taco Wraps recipe, let me know what you think by ★ star rating it and leaving a comment below. 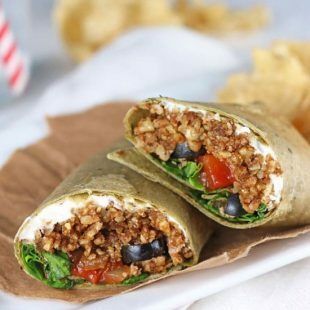 These Vegan Taco Wraps have all the tastiness of tacos in a convenient wrap form. 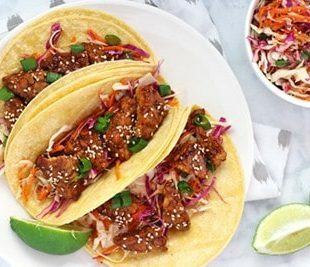 They're perfect to take for lunch when you're craving a taco but want it in something other than a taco shell. 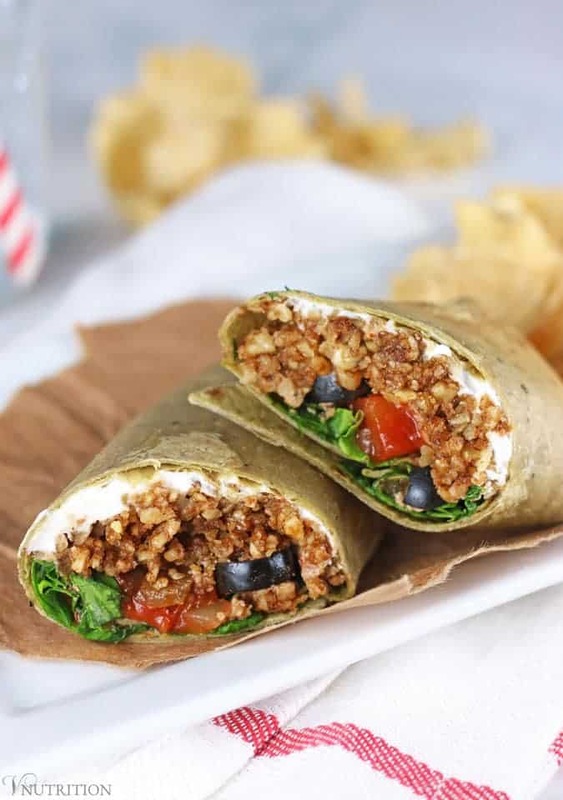 Take one wrap and spread 2 TB of vegan cream cheese down the middle of the wrap. Add 2 TB of salsa, 1/4 of the walnut meat, 2 TB of black olives, and 1/4 cup of lettuce. Fold bottom and top of wrap inward, then do the same for the sides then tightly roll the wrap into wrap form. Repeat with remaining 3 wraps. *Recipe does not include wraps which can vary in nutrition information. Like my Vegan Taco Wraps recipe? It would be so wonderful if you could give it some love by sharing! 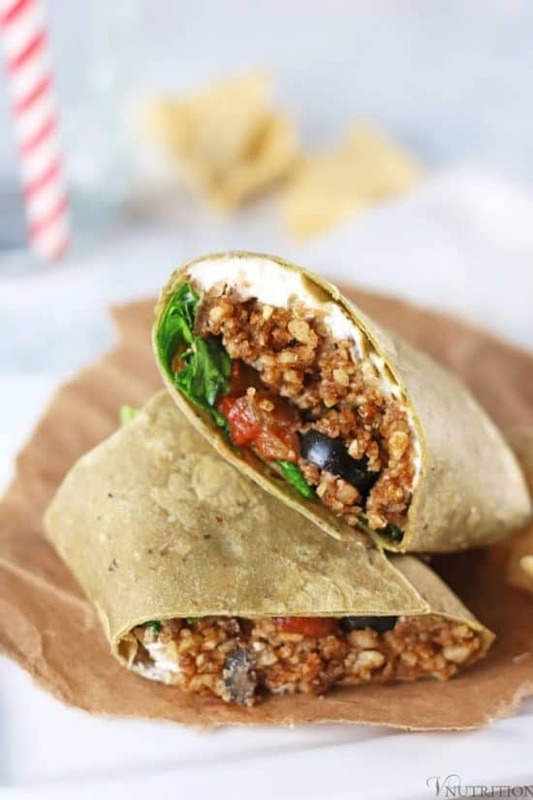 These wraps look so delicious! I really need to try your walnut meat! 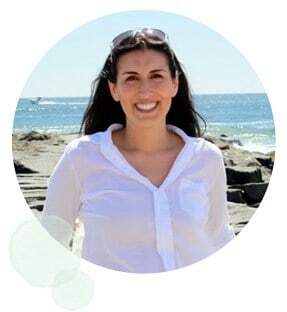 Thanks so much Amy! The walnut taco meat is so easy to make, I think you’d like it. These look so good, and I love the idea of using vegan cream cheese! I bet that helps hold things together. Whenever I eat a wrap, everything falls out! Yum, these look wonderful and perfect for lunch. Agreed on vegan cream cheese, such a unique surprise. Thanks! This looks incredible!!! So good! I much prefer wraps to tacos so love that you’ve transferred the flavours across! Yum. These sound like the “burritos” I would make at work. Except i put a lot more lettuce in them. Might make something like this today for lunch!